If you are a runner, you likely already know that proper nutrition and taking appropriate care of your body are two of the most important aspects in ensuring optimum performance when you run. After all, when you run, your body is subjected to a significant amount of stress. When you adhere to a well-balanced and appropriate dietary and supplement regimen, your running will not only be improved but also promotes your overall wellbeing. If you skip the regimen, your will likely end up doing more harm than good. Different kinds of exercises have different needs. Likewise, pre-workout supplements offer different benefits. Different pre-workout supplements are specifically designed for certain types of exercises like weight training and high-intensity workouts. Since there are various types of workout supplements, it is important to choose your supplement wisely. In fact, most supplements provide high energy boost at the beginning of the workout. Runners do not need this. Instead, you should look for a supplement that can help you with endurance, as the trickiest part in running involves keeping yourself going. What to Look for in a Pre-workout for Runner? Running exercises can be tough on your body. For this reason, going heavy on stimulants may not be your best move, as stimulants only provide you energy for a short period of time and leave you feeling burned out after the temporary high fades. The good thing is that there are some nutrients that can improve your body’s endurance and stamina. It is vital that runners get most of these nutrients to improve their endurance when running and allow them to keep going. So, what components should you look for in a pre-workout supplement for running? Here are some of the ingredients that you should consider when choosing pre-workout supplements for running. While some people avoid supplements that contain ample amounts of carbohydrates, runners need them. When you do extended cardio exercises, you need complex carbohydrates to give you the energy you need. Carbohydrates produce glycogen, which is stored in your muscles. Whenever you need energy, your body gets it from the stored glycogen. When you have ample glycogen stores in your body, you will have consistent energy without depleting your muscle mass. In a study conducted with whey proteins, taking BCAAs has shown to improve muscle strength as well as fat loss better, resulting in an overall leaner body mass. Also, in another study, taking BCAAs supplement has improved fat loss in active adults. Beta-alanine is a promising new discovery in the world of fitness supplement. This is a type of amino acid that can increase your endurance. Aside from its promising effect in increasing your performance, beta-alanine can also increase your lean body mass. 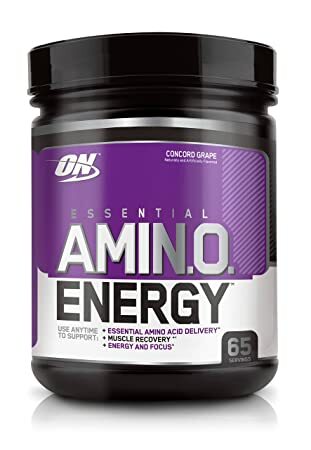 This amino acid has the ability to raise muscle carnosine concentrations in the body. 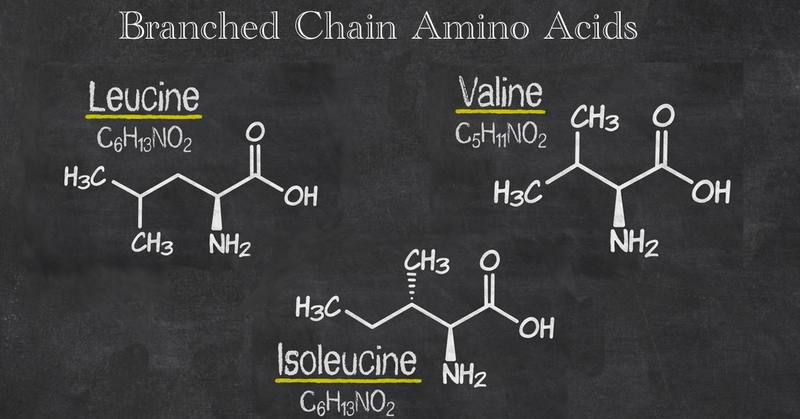 This means that the presence of this amino acid in the bloodstream affects the muscle carnosine levels. Muscle carnosine is a potent antioxidant and one of the muscle’s first lines of defense against the buildup of hydrogen ions that appear during high-intensity exercises. When hydrogen ions rise, the pH within the muscles significantly decreases, affecting the enzyme function and the muscle excitation and contraction coupling negatively, especially during activities that support continued and high-intensity output. To put it simply, when the muscle pH decreases, muscle fatigue occurs. Creatine is another nutritional supplement that can be beneficial for athletes. This supplement has been established to increase muscle stores of creatine phosphate. Creatine phosphate is a good source of energy for maximum intensity activities. Also, this supplement improves the gains in terms of power and strength which result from power and strength training. Runners can benefit from taking pre-workout supplements that contain creatine. Since this supplement is beneficial for those who are doing strength and power training, runners can benefit from this supplement as they need to do such training. Also, creatine supplements can help boost performance during interval workouts, which is actually a part of a distance runner’s training course. L-Citrulline is an amino acid that is turned into L-Arginine after taken. This means, that taking L-Citrulline supplementation is more effective in increasing the L-Arginine levels in the body than taking L-Arginine supplementation. In sports, L-Citrulline supplementation is used to improve performance and boost cardiovascular health. With this supplement, fatigue will significantly be reduced after training. Also, this can help improve endurance for both anaerobic and aerobic prolonged exercises. In addition, this supplement can increase blood flow and improve metabolism to significantly reduce excessive fat storage in the body. During a vigorous workout, the B group of vitamins can significantly be depleted. For this reason, it is important to keep the levels normal. Likewise, most pre-workout supplements contain these vitamins. This group of vitamins plays an important role in turning proteins, fats, and carbohydrates into energy. In fact, vitamin B6, for instance, is important as BCAAs need this vitamin for muscle growth and repair. The next time you pick your pre-workout supplement, you might want to consider getting those with this group of vitamins as one of the supplement’s components. Nearly all types of pre-workout supplements contain caffeine. Caffeine offers a lot of benefits like increasing the amount of metabolized fat for energy, stimulating the central nervous system for additional motivation and energy, and reducing the perceived difficulty of working out. However, you don't need to take much caffeine for running. There are reports, however, that show caffeine has adverse effects like increased heart rate, especially if taken in high amounts. That being said, you should consider getting the supplements with lower doses of caffeine just enough to give you that slight boost especially if you are feeling a little down at the beginning of your running session. This pre-workout supplement is considered one of the most advanced sugar and carbohydrate-free intra workout catalyst. It contains branched chain amino acids which are essential in improving endurance and promoting lean body mass. This supplement has been specifically formulated to maximize the intensity of training as well as promote optimal muscle protein synthesis and recovery during training. This supplement is packed with 7 grams of BCAAs, 1 gram of Citrulline Malate, and 2.5 grams of L-Glutamine along with a unique blend of hydration inducing electrolytes. With all its ingredients, this is one of the best pre workout for long distance running. This supplement is packed with amino acids and other essential nutrients to reduce the possibility of fatigue, carbohydrates to fuel the needs of your muscles while working out, and electrolytes to replace magnesium, sodium, and potassium that are lost when you sweat. Though this supplement may contain caffeine, the amount is moderate which only promotes a slight boost without the adverse effects. This product contains free form amino acids and branched amino acids that promote a natural boost in performance. This supplement contains caffeine but only in moderate amounts. 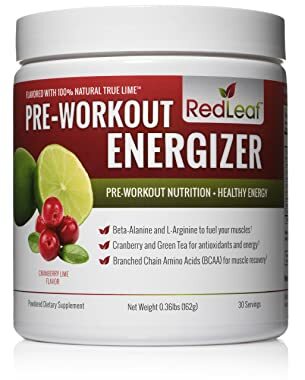 With this supplement’s unique blend of natural ingredients like green coffee bean and green tea extract, you still get that energy boosting effects. With the boost, your energy is increased, resulting in an enhanced stamina and blood flow. Not just that, this supplement also comes with electrolytes, L-citrulline, and L-glutamine. This supplement offers a unique blend of essential amino acids, nutrients, and electrolytes that boost performance, promote optimal muscle protein synthesis, and faster recovery. In addition, this supplement has been formulated with the PentActive blend of active ingredients that are essential in the cellular processes that promote muscle performance and response. With its research validated ratio of branched amino acids, muscle protein synthesis along with metabolic energy is supported and promoted. Also, it comes with electrolytes, chloride, potassium and sodium for optimum cell hydration and muscle contractility functions during intense training sessions. 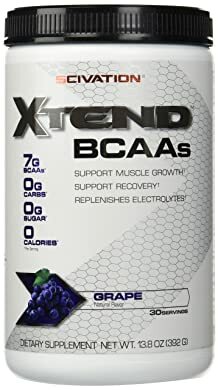 This supplement is formulated with the full-packed ingredients like BCAAs, beta –alanine along with other natural ingredients that promote muscle growth, recovery, and repair. Not just that, this supplement promotes endurance and optimum performance while training. It may contain caffeine but only in minimal amounts, which should be enough to give you that mild boost without the side effects. It also comes with Arginine and L-glutamine for faster recovery after a workout. Since pre-workout supplements come with varying ingredients, you should take consider your options. It is best to choose only the supplement that contains the ingredients that offer most benefits to you, as a runner. One of the best one in the market is the Scivation Xtend BCAAs- Blue Rasperry. This supplement is packed with efficient components including amino acids, electrolytes and other natural ingredients that promote optimum performance during training. 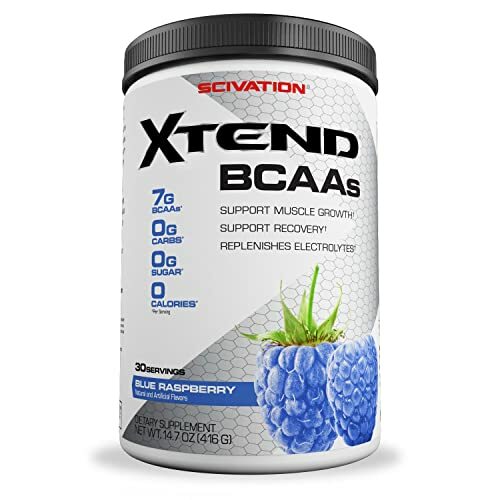 If you want to take your running to the next level, try the Scivation Xtend BCAAs supplement! It may be the right choice for you!